The obvious first thing to say is that you should answer all the questions truthfully. Doing anything else will get you in trouble. 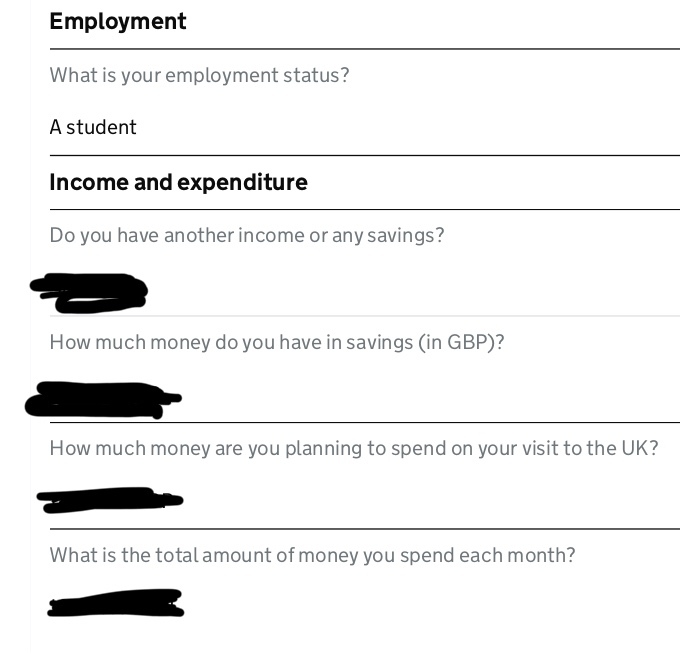 If somebody else is paying for your trip, and especially if you are a minor, then the questions about your personal financial circumstances are less significant. Instead the important questions are ones about your sponsor's finances, so that the visa officers can check the sponsor can afford your visit. Assuming that you are living with your parents, and they are paying your living expenses, then you may also have to supply their financial statements to show that your cousin's paying for your visit is an appropriate thing to be doing. It would not make sense for your cousin to be paying for a short holiday in the UK if you were in fact unable to afford to live in your home country. Read carefully the guidance on the application. The important thing with your parents finances is not whether they are earning more than your cousin, but whether they are earning enough to support you, and also that they have enough money to make your taking a vacation to the UK a sensible thing to do. For example, if your parents are not earning enough to cover your basic needs it does not make sense that your cousin would spend money on a vacation for you instead of giving you money to meet your basic needs.